With an incredible amount of attention devoted to active, smart and intelligent packaging market, deriving market prospects and opportunities can be difficult. Our analysts have looked beyond the attention-grabbing headlines to create an accurate market research report that will help you arrive at logical, valuable conclusions that are grounded in reality- not media headlines. 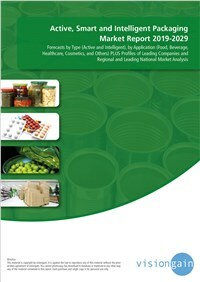 With global, national/regional, and submarket estimates for active, smart and intelligent packaging market, this report covers key aspects of this market. In addition, the report profiles the leading companies in the market, and drivers and restraints analysis of the market. What type of Active, Smart and Intelligent Packaging submarkets will grow from 2019-2029?